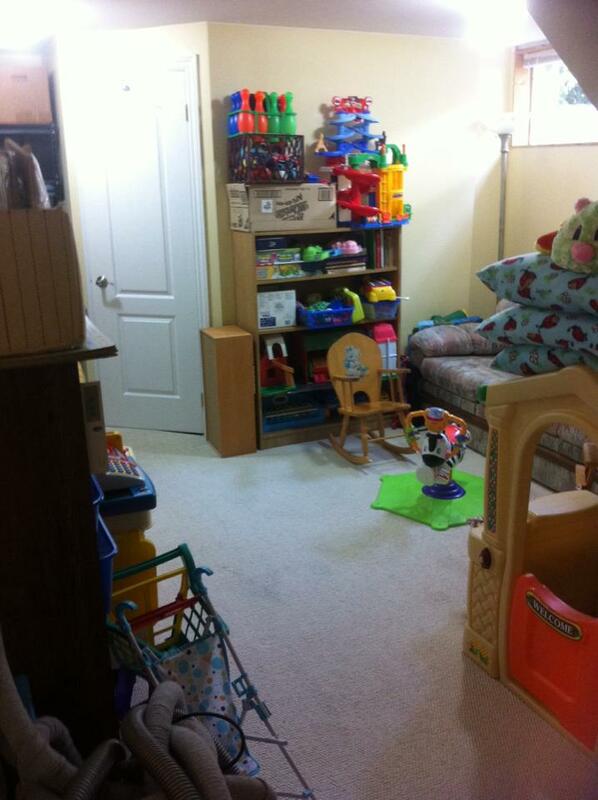 In last week's Spring Clean 2015 - Basement Family Room post, I mentioned I was on a tight deadline to finish decluttering and cleaning the basement. This area had become a dumping ground for what I was decluttering in the upper 2 floors and I didn't know what to do with it. I am happy to say that school let out and I was ready for an added play space for my schoolagers! I am happy to say that I got it done just in time for school to let out. The kids loved their new space to move about in! BEFORE: This is mid-point, actually. I had 6 bags of books leave the house and the top right corner of the shelves is all that remain. So proud of myself! 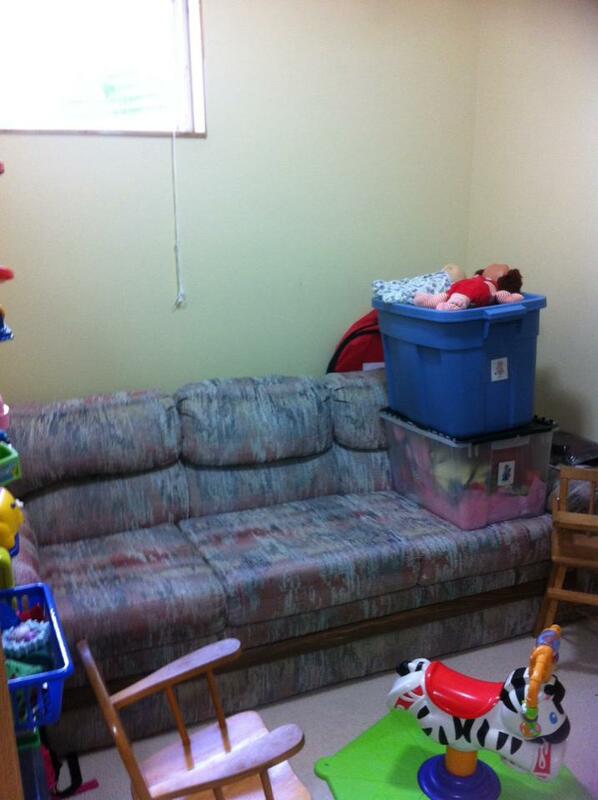 The big bins to the right were on the couch and you could not sit down there. 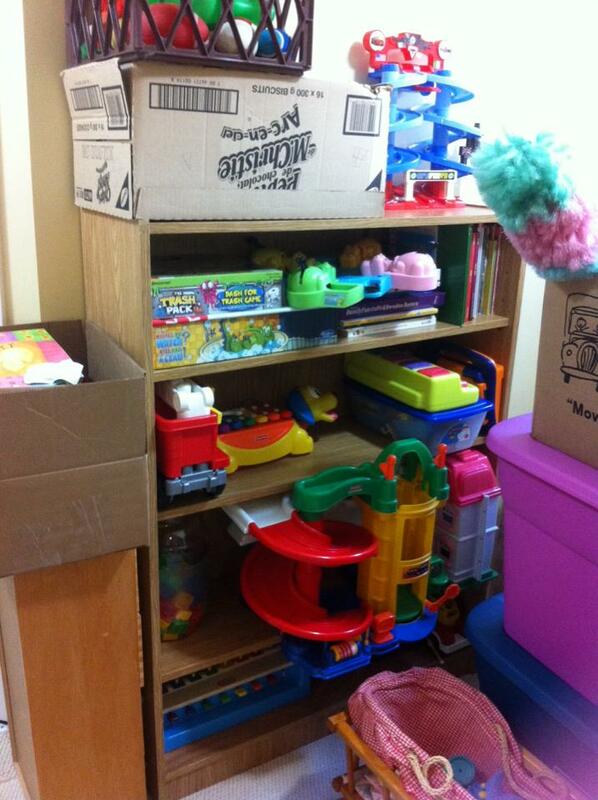 AFTER: Although I'd love to totally KonMari the toys, I do have daycare children who need toys to play with. This is significantly culled. I also have some bins that are now sorted by toy so I can change them out. You can only see a glimpse of the couch but it's clear now to sit on. AFTER: The couch - you can sit on it now! The 2 dolls on top are still air drying as I washed them and the dress up clothes to freshen them up. 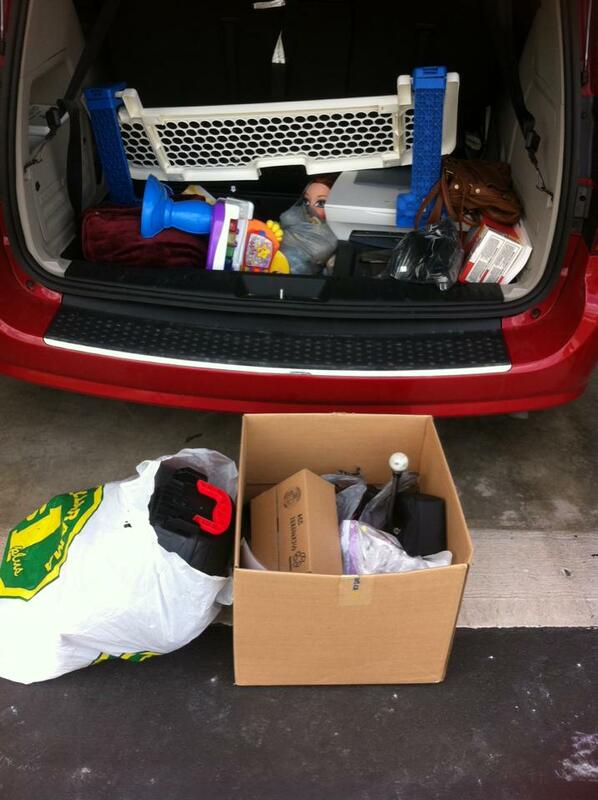 This is also 1/3 of the amount of items that we had so I'm glad they fit into the smaller bins. I also labelled all the bins with photos and words for the kids to help see and help me put away properly. They are stored on the couch because it's a small floor space area and they need some room to play!